You are here: Home / ColaLife principles / How is ColaLife’s approach transformational? 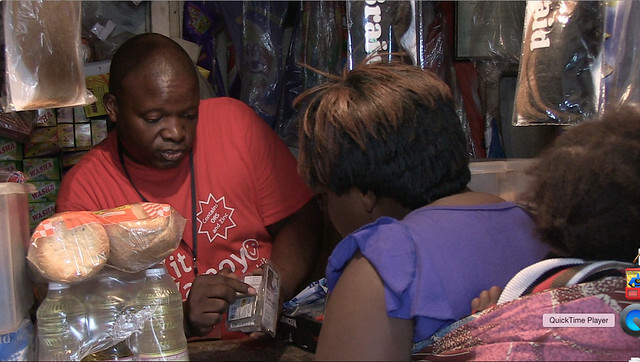 ColaLife is not the only organisation working to use the private sector to deliver health products and services. 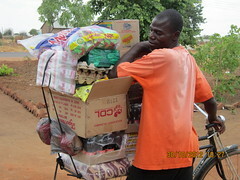 Others include PSI, DKT and donor-funded programmes like SHOPS Plus. So why is our approach seen as transformational? Focussing on WANT not NEED. Combining product design with value chain creation. Creating a local smart network. Shaping the market and plugging gaps. Creating and using soft power. Sharing designs, findings and learning through an open source approach. Having a REAL and clear exit strategy. This adds up to Disruptive Innovation: showing change is possible by thinking, designing and acting just a little differently. Crucial to the sustainability of what we do, is our focus on what people actually want, not what we think they need. Want and need are completely different things. If you can create a product (or service) that people want and can afford, which is profitable for the private sector to deliver, then the private sector will make sure people get it. We have taken the time to talk to caregivers to understand the challenges they face when treating diarrhoea in the home. 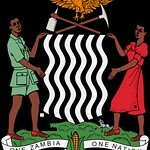 This was the basis of the award-winning Kit Yamoyo design. Key features are: 200 mL sachets of ORS (not the more usual 1 L sachets); packaging that can act as a measure for the amount of water needed to mix the ORS and a clear adherence message in the Zinc blister-pack. This common-sense approach turned out to have a name: Human-centred design. Any corporate can tell you about creating a value chain: at each step, from the manufacturer to the customer, each player adds value to the product (sourcing and making it, transporting it, re-packaging or unpacking it, displaying it, explaining it to customers, selling). It’s worth their while, as they make a profit every time they ‘add value’. It’s what makes a product move from the manufacturer to the customer. If you are serving people with very limited resources, then affordability – the retail price at the end of the value chain – is crucial. So this must be your starting point when creating the value chain. You start with what people want and can afford and reverse-engineer the value chain – designing in functionality and desirability, within an affordable end-price, while building in the profit margins needed by all those involved. This approach is called ‘price-minus costing’. If you do this and find an initial subsidy is needed, like we did, it is important that this is injected at the very top of the value chain to reduce the ex-factory price to the level you will need to achieve in the medium to long-term to make the product self-sustaining. This approach establishes the value chain links and expectations for the price points for the product from the very outset. If the product and the value chain are a success then you can work to eliminate the top-end subsidy without disturbing the value chain you have created. This is how we did this for Kit Yamoyo. Another way to introduce a subsidy, and strengthen the value chain at the same time (not undermine it), is to provide the customer with a discount voucher on the retail price at the end of the chain. This increases demand and helps ‘pull’ the product out to customers thereby strengthening the value chain. You can of course use both types of subsidy. In short, you can subsidise at both ends of the value chain but don’t mess with the middle! 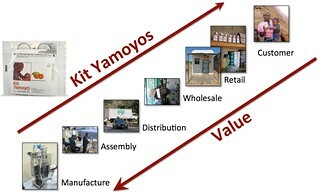 The Kit Yamoyo value chain: manufacture, assembly, wholesale, retail, customer and end user. With a history in community development, we knew from the outset about the importance of listening, of being open to local people’s views and experience, of finding out what local organisations were already doing, and adapting to local plans, policies, conditions and ideas. So, on our first visit to Zambia (Oct-10) we spent two weeks visiting 16 organisations, including the Ministry of Health, the para-statal medicines distributor, Medical Stores Limited, and NGOs working in the health field – both large and small. This culminated in a workshop that shared a whole range of comments and opinions to see who agreed with what, and a giant project design map, which key players helped build. 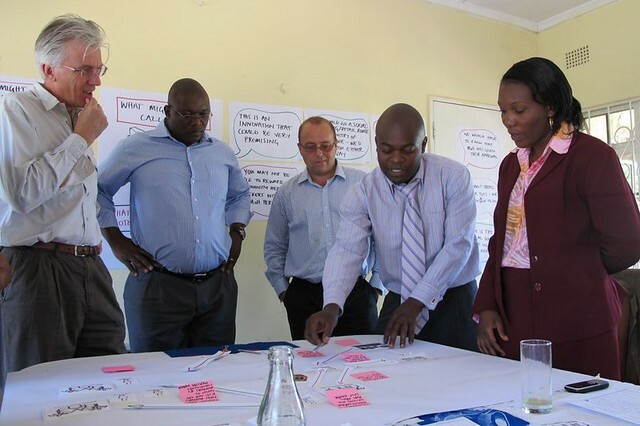 We returned to re-present refined plans three months later, in another workshop hosted by UNICEF Zambia – where delegates posted up all the barriers and problems that they could see within the draft plan, and then shared their experience of how to overcome these. Finally, we collected all these inputs to co-write a plan and funding bid, with anyone who wanted to help or comment. Partners self-selected; they defined and costed their roles – then we took the plan to funders. ColaLife believes that virtually all development challenges in any particular country can, and should, be solved with and through existing local organisations. They have the insights: the detailed knowledge, the contacts, the market intelligence, the cultural, political understanding and… the responsibility. There maybe a need for support to help adopt, adapt or invent, new ways of working, new ways of collaborating, new skills. Sometimes, all that is needed is to introduce players to each other, around a shared vision. ColaLife brought together the Ministry of Health, a very small Zambian NGO (Keepers Zambia Foundation – KZF) which had no previous relationship with the government, UNICEF, the government distributor (Medical Stores Limited), and a local manufacturer willing to take a risk on a new product. Around them, 20 organisations have coalesced into a Zambia-based learning group, which since 2012 has met to hear about progress and contribute at least twice a year. 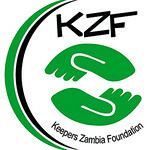 Some of these have now become collaborators, customers of the manufacturer, partners of KZF, promoters of the Kit Yamoyo product in their own initiatives. They are owning the new local product, and the learning. Many development programmes favour the ‘quick and easy’ route: by-pass local organisations and ‘do it yourself’. But when you achieve development through existing organisations, who both design and own it, there is a much bigger chance that it will be long-lasting and self-sustaining. The developing world is littered with five-year ‘development programmes’ which either get extended or don’t. If they don’t, then they die, and cause huge disruption and waste, with a loss of many of the gains made during their lifespan. 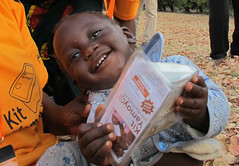 See for example: Chlorine and cholera – two stories from Zambia. This isn’t surprising: with all the resources you need from an external source it is easy to have a big impact. But will that impact be self-sustaining? Unlikely, if self-sustainability is not built in from the very outset. It’s all very well to bring a new, proven product design to a manufacturer. You might even persuade them to take it on, to risk a launch in the local market. But what if it has a low monetary value? The return on investment in a big market launch would be years in the making. And would it be enough? Who pays to ensure equity of access, training the hundreds of small retailers to reach deep into communities? Who works to create awareness and trust in communities? These are some of the gaps we identified as we moved from trial to market scale-up. Deploying philanthropic funds to develop what will become (hopefully) a self-sustaining profitable market isn’t a widely used strategy yet. Some funders may shy away from helping the private sector – there are issues. But it’s an exciting and growing area – watch this space! Brand means trust, and trust means market share and profit. Branding everything is seen as normal today, when ‘brand is king’. But in the development sphere, branding and ‘owning’ is often done without a lot of thought about unintended consequences. What if it is not the right thing to do? What if, perversely, claiming a product as ‘yours’ stands in the way of the very thing you want to ensure: a self-sustaining change; local ownership. Not ‘your product’, but ‘our product’. It would say: this product is not local, it’s the result of the action of an external organisation or donor. This can give the impression that the product will only be available temporarily. It reinforces the notion that good things come from outside the country when pride in local effort is much more powerful. ColaLife is working on a solvable solution. We will no longer need to exist once Kit Yamoyo is established in the market. We want leave behind a locally owned and recognised brand, that won’t need to be changed when we withdraw; re-branding is full of risk and costs a lot of money. When a donor-funded project pulls out, it can disrupt supply, it causes consternation. We hope that when our work in Zambia is finished, we won’t go out with a bang, or a whimper: no-one will even notice. ColaLife’s purpose is to grow our social impact. We are not interested in growing our organisation. ColaLife is not a permanent part of the transformation of access to diarrhoea treatment in sub-Saharan Africa; we are simply a catalyst – the yeast in the bread. This means that we have to make all our designs, findings and learning available to everyone who wants them. We will grow our impact when existing organisations within each country adopt our designs and approaches and adapt these to their own situation. We plan to pro-actively support six countries in this process between now and 2020 but all countries are able to get going by themselves. The key ColaLife Resources are here and we are adding to these as we go along. You can subscribe to our email News Service (ColaLife eNews) and get all blog updates (including additions to the resources) by email. From the moment we start working in, or with, a country we have a plan to leave. 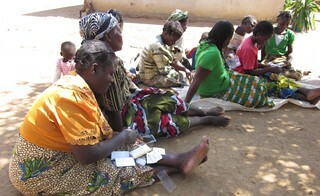 We were full-time in Zambia until the trial had been completed and the transition to scale-up was underway. We returned to the UK on 30-Jun-14 leaving all day-to-day operations to local organisations but continue to visit quarterly and provide remote technical support and support with fund-raising for the scale-up. We will withdraw completely when Kit Yamoyo is established in the market and we hope this will be achieved by mid-2018. During our involvement in a country, we support local organisations to raise and use philanthropic grants to establish a diarrhoea treatment kit in the market. Once this is achieved our support and the support of donors is no longer required but access to affordable diarrhoea treatment continues sustainably. Does all this add up to ‘Disruptive Innovation’? We hope so!